Many years ago, when I was in college, I did an internship near the Merchandise Mart in downtown Chicago. A lot of the people I worked with went to the same little deli almost everyday for lunch and/or dinner. 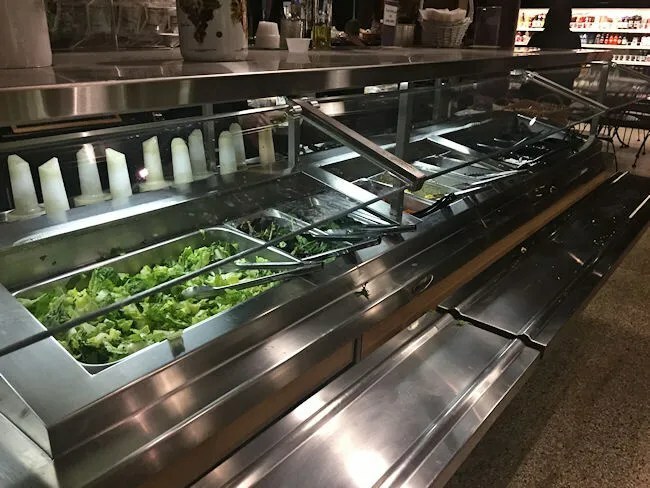 They could grab a salad out of the cooler or there was a rotating hot bar where they could quickly pick up something to eat and get back to work. 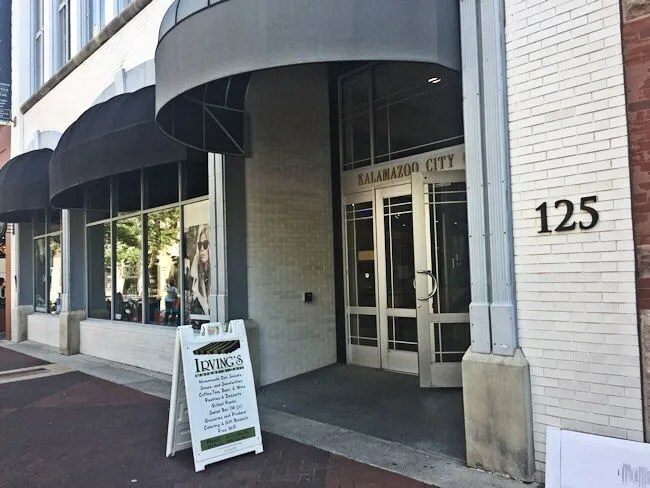 Now that I work in downtown Kalamazoo, I’m noticing more of the places that offer quick, healthier options for lunch for the office crowds that work in the Central Business District. A couple of weeks ago, as vendors were getting set up for Art on the Mall, I went for a walk looking for a food cart that I had seen several times in the area. It wasn’t there that day and I wasn’t in the mood for Taco Bob’s, so I kept walking not really knowing where I was going for lunch. A sandwich board outside of the Kalamazoo City Centre reminded me of a place I haven’t eaten at in several years. 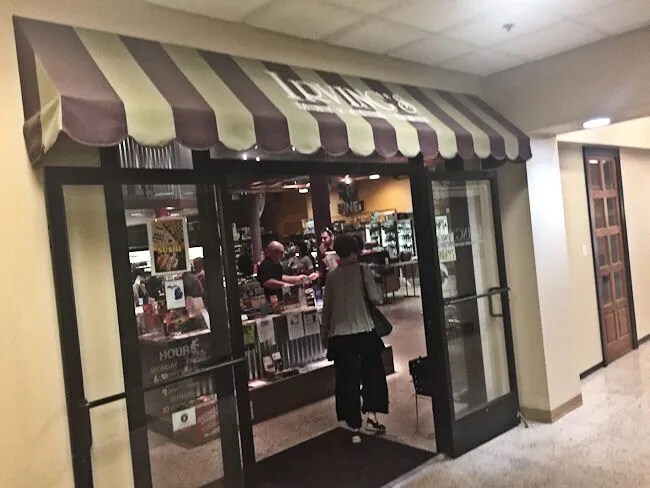 Irving’s Market & Deli is on the first floor of the Kalamazoo City Centre in the heart of downtown Kalamazoo on the Mall. The last time I ate there was probably the last time I blogged about the place in 2012. 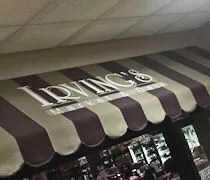 Not much has changed about Irving’s in the last five years that I noticed. It’s still a great deli that’s a little too well hidden in downtown. 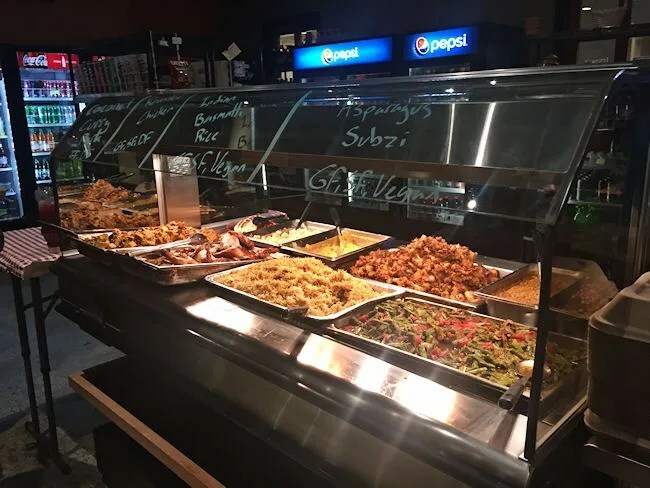 There are a few options when it comes to food at Irving’s. 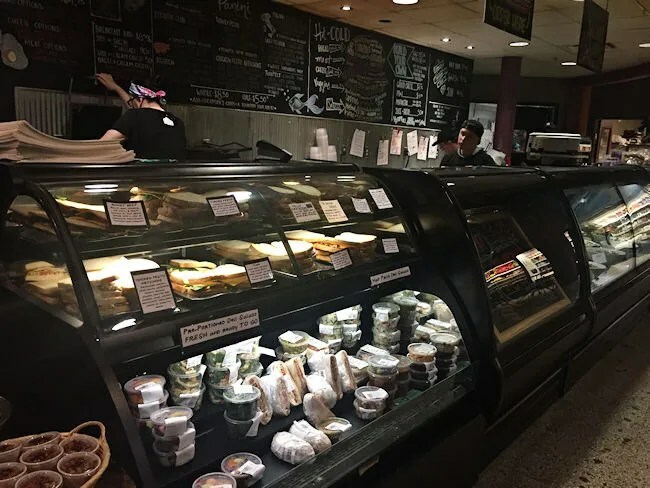 I started out at the deli counter which is full of meats, cheeses, and cold salads like most deli counters, but this one also does a number of hot panini sandwiches. The sandwiches are all pre-made and sitting in a display case. If one of their creations doesn’t work for you, there’s also a build your own option from the various meats, cheeses, and breads they have on hand. Once you pick a sandwich, it’s put on to a panini press to flatten out and cook. I ordered the Italian which comes with a couple of different meats, provolone cheese, lettuce and tomato. You can do either a whole or a half sandwich. 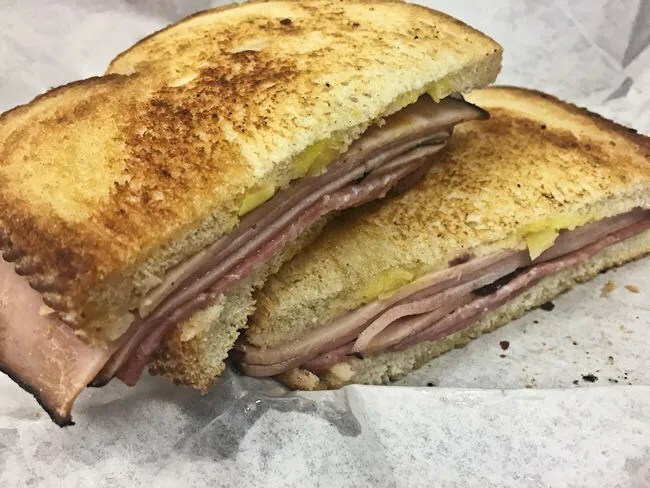 The pressed sandwich comes out with a delicious, golden, buttery crust and it’s stacked pretty high with the meat selection. This sandwich could have been a meal on it’s own, but there were other things to try so I ate half and saved the rest for later. Another lunch option is the hot bar. This area has a serve yourself salad bar set up with a rotating food selection. The food was just being brought out the day I dropped in. The cook was still writing what each option was on the sneeze guard with a grease pen. I grabbed two things out of this area. First was the chicken. I grabbed a wing and thigh piece that hadn’t been separated yet. It was roasted instead of fried. 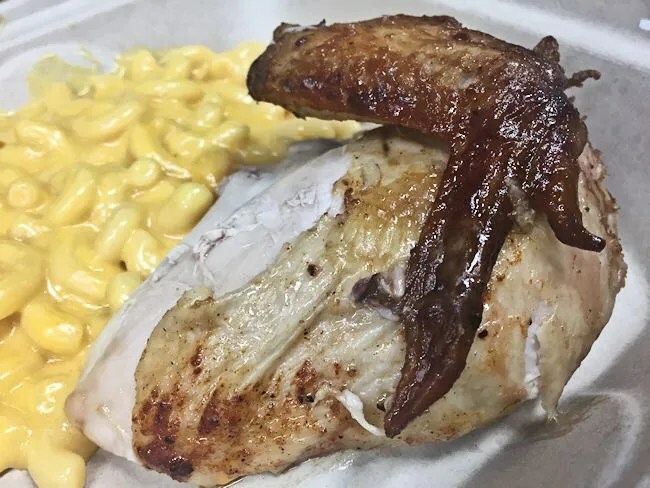 The skin was nice and crispy and the chicken was still pretty juicy, but it didn’t have a whole lot of flavor. This is the kind of chicken for the health nut to get some protein. It’s healthier than other chicken preparations, but it lacks any distinguishable flavor. 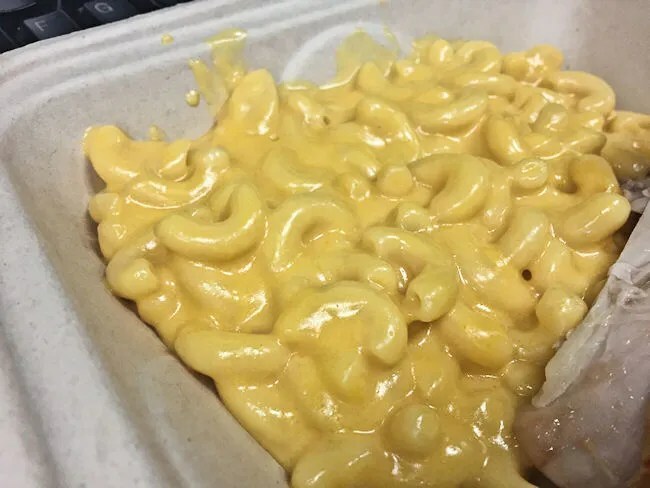 The other thing I grabbed off the hot bar was some macaroni and cheese. The traditional macaroni noodles were covered in a thick, cheesy sauce that was quite delicious. It had a very strong cheddar taste to it and the thick sauce held on to every inch of the noodle. I should have skipped the chicken and just went with more macaroni because this was delicious. Another lunch option would be off the salad bar. I have considered going back a couple of times in the week since I last ate there just for the salad. Salad isn’t something I eat often, but there was a wide variety of toppings on the Irving’s bar that made this a really tempting option. There were quite a few people picking up a half sandwich and salad or soup and salad while I was in the store that day. On the way to pay, there is also a small sweets case just in case you need dessert. I passed on this day, but I’m not really a dessert person. I grabbed a Pepsi to go along with my lunch then headed to one of the two registers to pay. There was quite a line on a Friday afternoon so both of them were open and getting people through as fast as they could. My meal came out to around $18 because I went a little overboard on the mac ‘n cheese. I also could have just went with a half sandwich and cut that price down as well, but nothing went to waste and I was really happy with what I got. 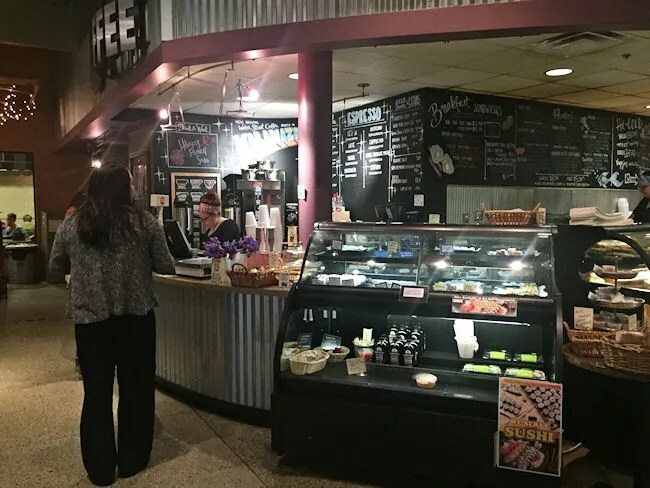 Irving’s Market & Deli is a perfect downtown lunch spot. It’s quick, it can be healthy if you make it, and most importantly, it’s delicious.